Here is a booklet you can print off and share with your children this Christmas. I actually rewrote the story Twas the Night Before Christmas to Twas the Night of Jesus’ Birth. This booklet would be a great addition to any Children’s Bible Lessons about Christmas, or you could even use it for a children’s sermon. 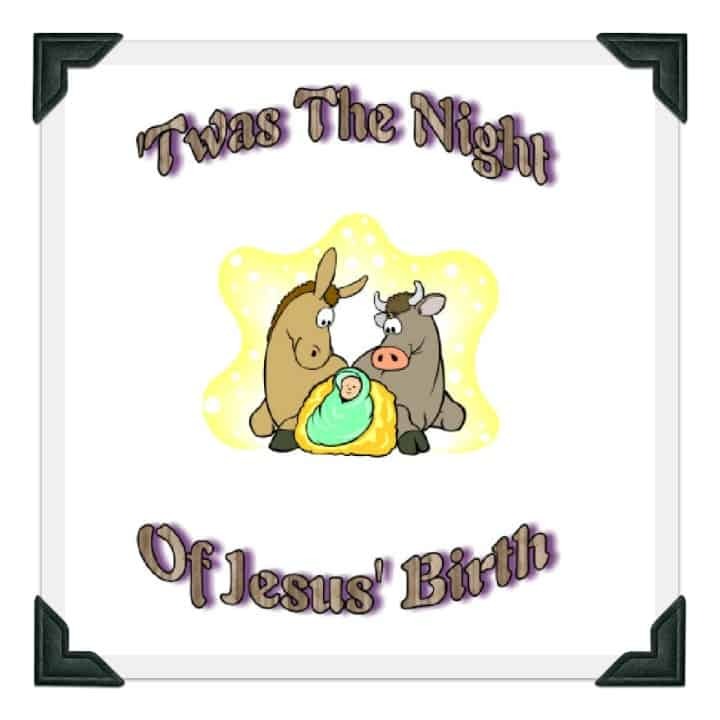 This printable Christmas poem for children would also be useful in family devotions. Each page of this booklet has one paragraph of text and a simple clip art illustration. It is designed to be read aloud to a group of children. Use the link below to download this file for printing. More Christmas Ideas – Browse over 30 free Christmas resources for Children’s Ministry or find a Christmas Sunday School Craft. Was it a download error or something in the text of the booklet? Santa Claus is misspelled – is spelled Santa Clause. Easy to white out before printing though. Tony Kummer (Editor) reviewed & updated this page on : December 29, 2014 at 8:36 am. All our content is peer reviewed by our readers, simply leave a comment on any post suggest an update.